Bill's OBX Beach Life: Hatteras Wave Jam Showcases the AHD SeaLion! 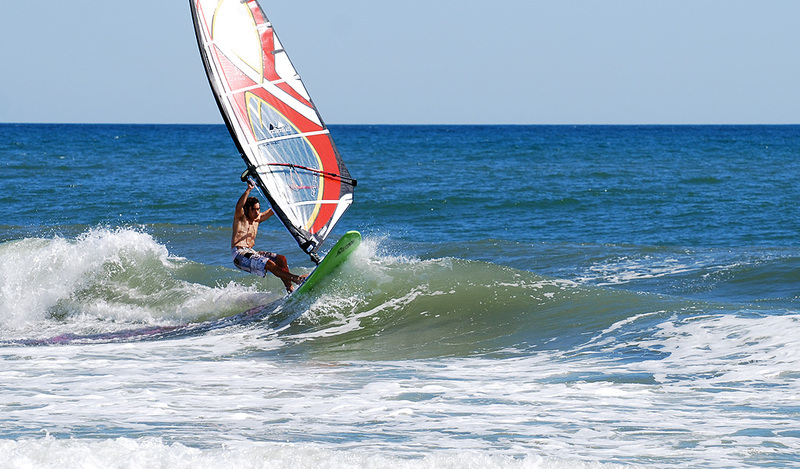 Hatteras Wave Jam Showcases the AHD SeaLion! Hatteras Wave Jam 2010 was the perfect opportunity to introduce the AHD SeaLion 7'6" to the Hatteras Atlantic and participants of the event. The SeaLion is a strap-less light air wavesailing twin-fin fish specifically designed to provide FUN on the water when the winds are light and the surf is good. 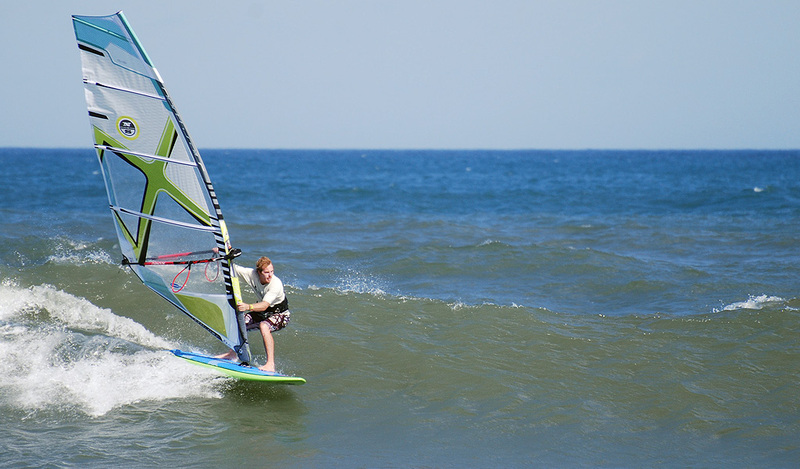 During Day One and Two of Hatteras Wave Jam, we had perfect conditions to demo the SeaLion! 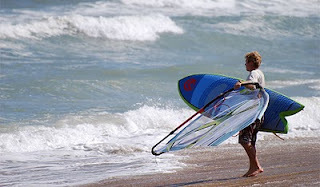 Day One at Ramp 55 near Hatteras Village offered small surf and light NE wind. Conditions were side-offshore and the SeaLion was a popular ride for event participants to try out its maneuverability in the waves. Every rider noted the stable yet maneuverable characteristics of the board along with the simple FUN of taking it out in the light air conditions! The board did not spend much time on the beach as there was always someone who had it out for a spin! During Day Two of Hatteras Wave Jam, the conditions at Ramp 30 found moderate SSW side-offshore wind and bigger swell. Chest to head high crumbly surf provided a nice playground for another spin on the SeaLion. Stewart Proctor has the board out during Day Two and did some excellent riding showcasing its FUN factor in the surf! Stewart noted that the board was a blast to ride in those conditions and he definitely had a smile on his face out on the water! If you are interested in the SeaLion, either consumer or dealer (US Mid-Atlantic region), please contact me for details! 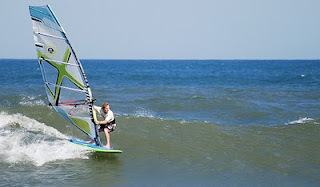 PS: I had the SeaLion out last week during the fleeting Igor swell and had a blast! Definitely a very fun ride when there is not quite enough juice to get into the straps! Wow, does that look like fun! Next time I am down I think I might have to give that a shot. I will never be good enough to compete, that I know for sure!